The other day went to Low Yat because Chingu is looking for and then happily bought Samsung Galaxy S4 for himself before off to his back pack trip to China. On the way back saw this Mr Dakgalbi. Aiiiikkkk...since me so Korean craze woman. I did some sweet talk and Chingu agreed to settle our dinner with Korean food. 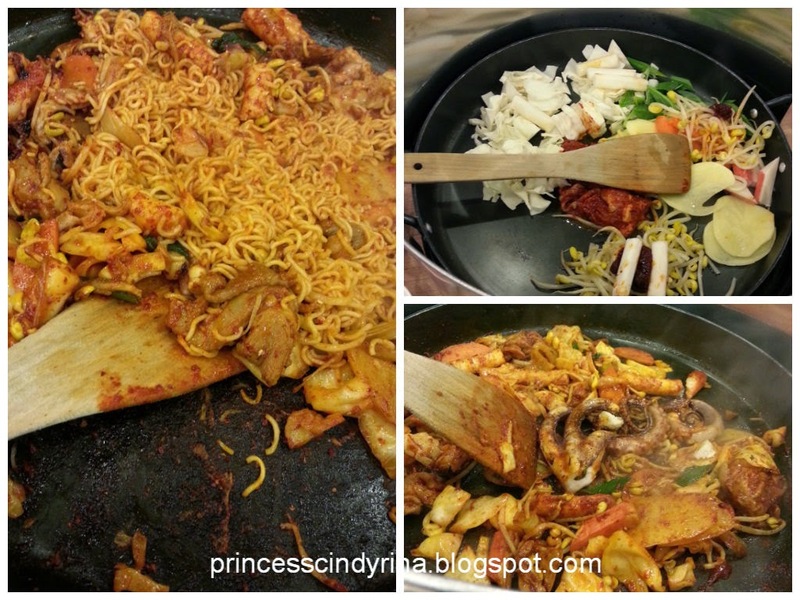 Dakgalbi is Korean popular dish originated from Chuncheon and Gangwon province. Dakgalbi is a stir frying marinated dices chicken in a gochujang (chilli pepper paste) based sauce with sliced cabagge , goguma aka sweet potato ,scallions ,onions and tteok aka rice cake...all in together on a hot plate. You can add rice or ramen or both if you are too crazy hungry. Some add cheese in it too. 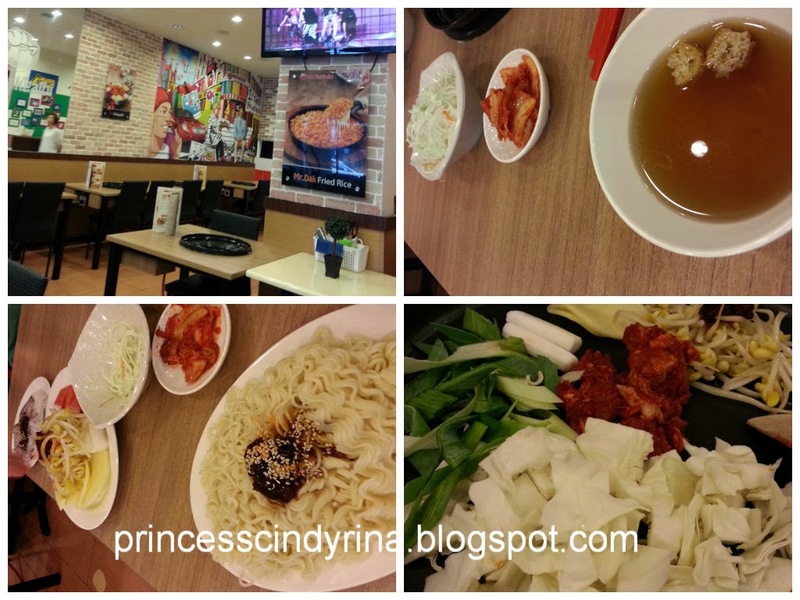 This is Mr Dakgalbi near Bukit Bintang branch. It located just next to CIMB Bank at YTL Building. huh! so sweating waiting for my dinner! The person attending to us not Korean...they are Bangladeshi..OMO! hahahahahahaha... Chingu and me look at each other....what is this???? Maggi mee goreng mamak kah ini??? I ate this in Seoul when I was there with live Octopus in....OMG!!! 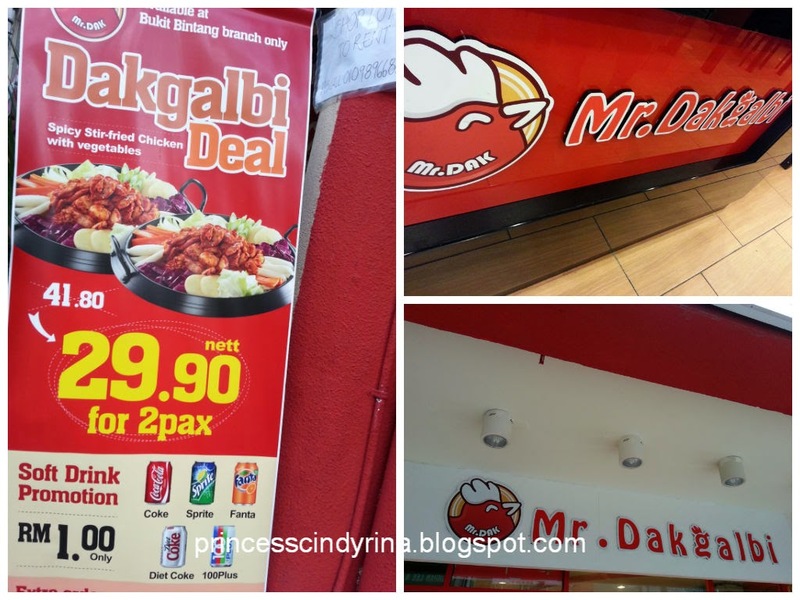 You can get more info at Mr Dakgalbi facebook and try their food. Overall great experience in trying other people food. 29.90 per 2 pax so nice..
Hi Nicole! I read your post! good one..so details. ailyn! this one taste ok not so spicy...quite tasty! Bangla again? I dun really trust their cooking skill.